A Bronx Tale is Broadway's new hit musical. And now it's a New York TimesCritics' Pick. Robert De Niro and four-time Tony Award winner Jerry Zaks (Sister Act) direct this new musical adaptation of the classic story from Chazz Palminteri. Based on the critically acclaimed play that inspired the now classic film, this streetwise musical will take you to the stoops of the Bronx in the 1960s where a young man is caught between the father he loves and the mob boss he'd love to be. 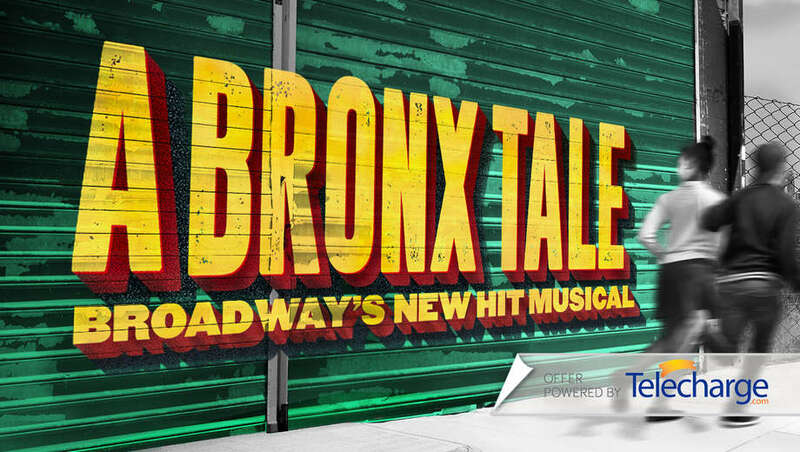 A Bronx Tale features music by eight-time Tony Award winner Alan Menken (Little Shop of Horrors), book and lyrics by three-time Tony Award nominee Glenn Slater (The Little Mermaid), and choreography by Tony nominee Sergio Trujillo (Memphis, On Your Feet). Don't miss your chance to see the show that AM New York hails as, "a combination of Jersey Boys and West Side Story,"